Serpent & Dove—Applied Magnetics supplies Grate Magnets and Magnetic Separators for industries as diverse as silica sand mining, grain-handling and coffee grinding. Now, many Serpent & Dove customers, especially in food and related industries, are also buying their own Gauss Meters for regular testing of their Grate, Tube and Plate Magnets to meet plant audit and magnet validation requirements. The Magsys model HGM09 Gauss and Tesla Meter is the preferred selection for this duty and is easy to use by following simple instructions. The cost of a Magsys Gauss Meter compares very favourably against costs associated with validation conducted by third-party personnel visiting the plant. The Magsys Gauss Meter features ‘peak hold’ facility to lock on to highest reading and includes USB output for easy hook-up to PC or other devices and can be used by any maintenance or engineering personnel following simple instructions. 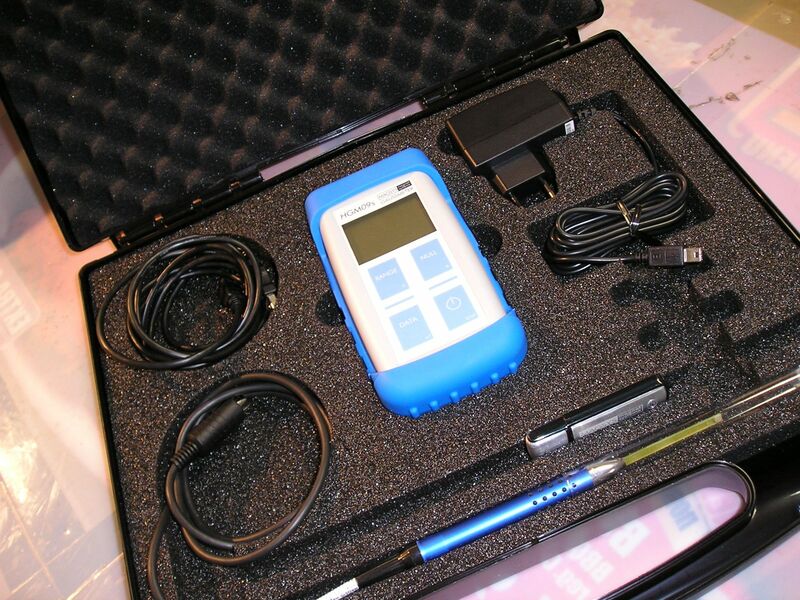 The Magsys HGM09 Gauss Meter (also known as Tesla Meter) comes in a robust plastic storage box. Periodic re-calibration and certification of the meter can be effected with quick turn-around by Magsys and Serpent & Dove when required.